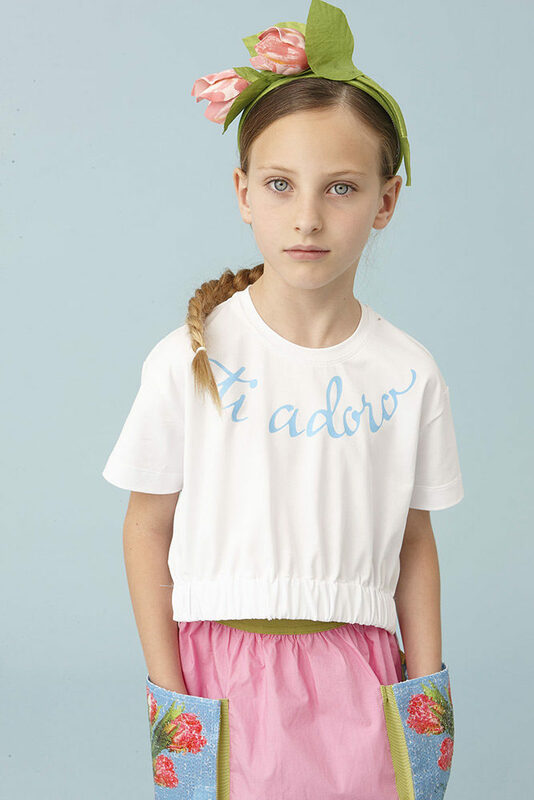 I Adore You: the Spring Summer 18 collection from MiMiSol couldn’t be more aptly described. 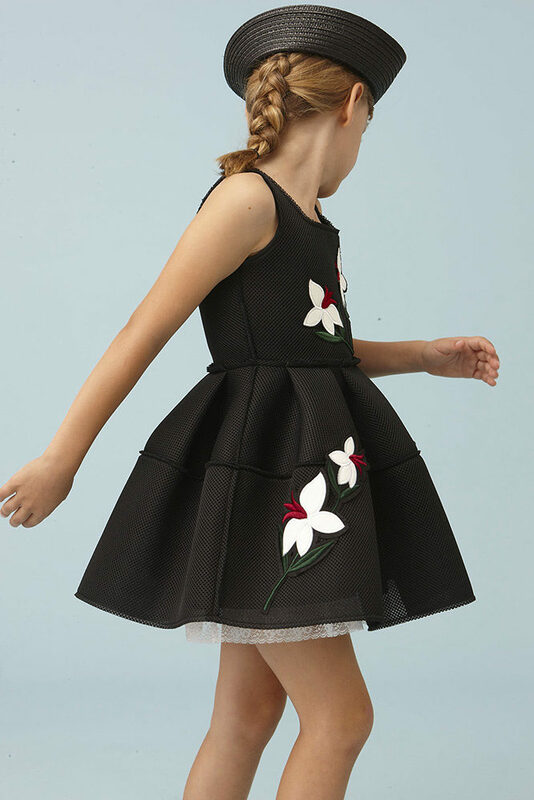 Blooming with floral prints, delicate embroideries, and gorgeous appliqués, the collection is a celebration of colour and form: elegant silhouettes cut from linen, satin and piquet in brilliant hues of pink, yellow, and Tiffany blue. 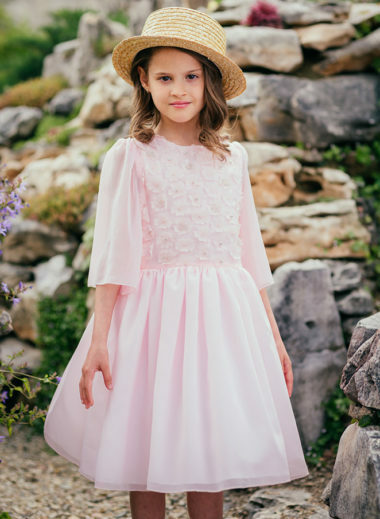 Simple shapes and understated elegance abounds for everyday pieces while pleated and embroidered tulle dresses are the pinnacle of dream dresses for little girls, complemented by a range of bags, hairbands, shoes, and straw hats.